Hi, everyone! It is Andrea from Reading Toward the Stars here with a couple of easy ideas to get your students engaged in word study, or looking at spelling patterns. Our third grade students use word study to help see the differences between different word patterns and use them in their writing. I work with one group of third graders who struggle with spelling. This approach is proven to help them in the long run. Each week the students have different features to work with and sort. We sort them, hunt for them in books, and play with them. The playing is their favorite part. 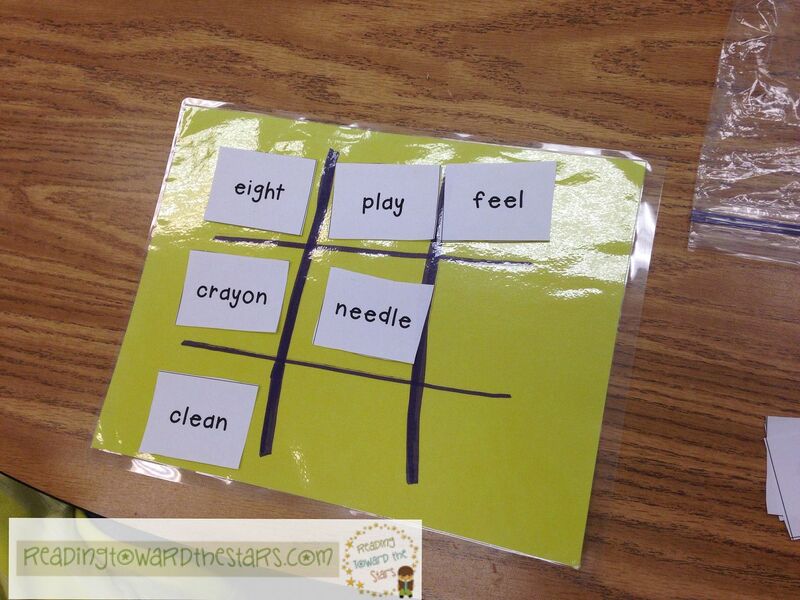 One week we played Tic Tac Toe with the words. I drew Tic Tac Toe boards on paper and laminated them. They used their words to play the game. One student was long e, and one student was long a. They put down their words in a spot and had to spell it out loud as they put it down. The feature that got three in a row won. 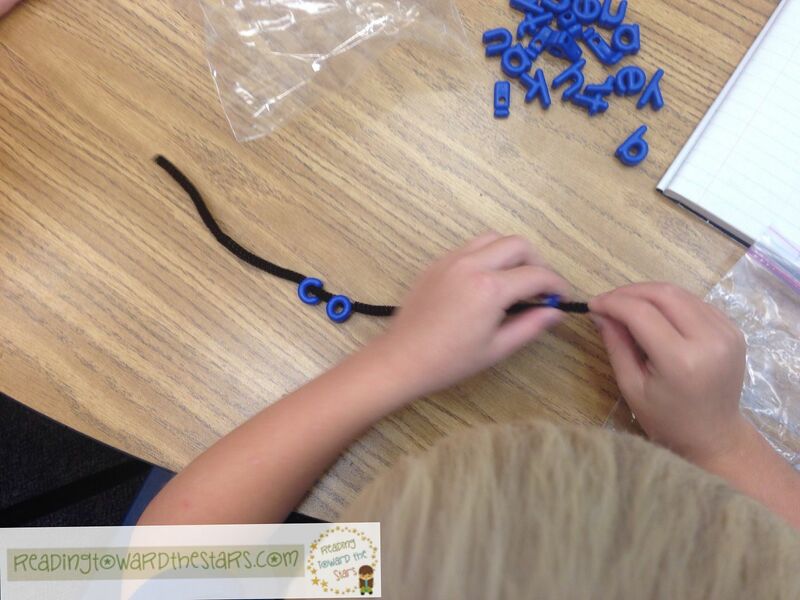 This week we used beads to build and sort their words. They used the beads to build their words and then wrote them in their correct columns. I couldn't believe how much fun they were having! I also like to play fun games with the kids. Here is one I made for my second graders ~ Harvest Blends. The simple board games always make them smile. You can grab it for free through the Harvest of Freebies blog hop that is going on all weekend. Guess what they want to do this week?! Play-doh! Looks like I will be making some in the near future! 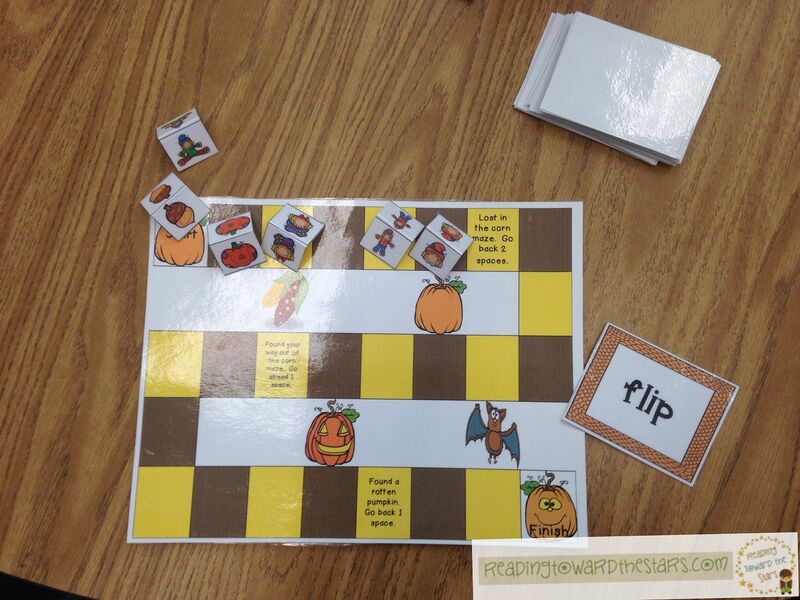 There are so many fun things you can do to help students with spelling words! What are some fun things you do to help your students learn those tricky spelling words?